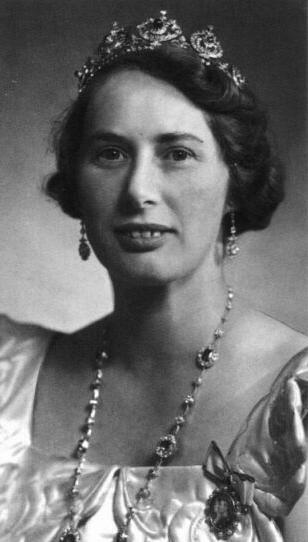 Princess Caroline-Mathilde of Denmark (Danish: Caroline-Mathilde Louise Dagmar Christine Maud Augusta Ingeborg Thyra Adelheid; 27 April 1912 – 12 December 1995) was a daughter of Prince Harald of Denmark and granddaughter of King Frederick VIII of Denmark. As the wife of Knud, Hereditary Prince of Denmark, she became Hereditary Princess of Denmark. Princess Caroline-Mathilde's birthplace Jægersborghus in 1909. Princess Caroline-Mathilde was born on 27 April 1912 at Jægersborghus country house in Gentofte north of Copenhagen, Denmark. She was the second child and daughter of Prince Harald of Denmark, son of King Frederick VIII of Denmark and Princess Louise of Sweden. Her mother was Princess Helena of Schleswig-Holstein-Sonderburg-Glücksburg, daughter of Friedrich Ferdinand, Duke of Schleswig-Holstein-Sonderburg-Glücksburg and Princess Karoline Mathilde of Schleswig-Holstein-Sonderburg-Augustenburg. The princess was named for her maternal grandmother, and was known as 'Calma' to her family. Prince Knud of Denmark in 1935. Princess Elisabeth Caroline-Mathilde Alexandrine Helena Olga Thyra Feodora Estrid Margrethe Désirée of Denmark (8 May 1935 – 19 June 2018). Prince Ingolf Christian Frederik Knud Harald Gorm Gustav Viggo Valdemar Aage of Denmark (born 17 February 1940). Married Inge Terney without consent and lost his royal title, thereby becoming His Excellency Count Ingolf of Rosenborg. Prince Christian Frederik Franz Knud Harald Carl Oluf Gustav Georg Erik of Denmark (22 October 1942 – 21 May 2013). Married Anne Dorte Maltoft-Nielsen without consent and lost his royal title, thereby becoming His Excellency Count Christian of Rosenborg. From 1947 to 1953, Prince Knud was heir presumptive of his older brother King Frederick IX. 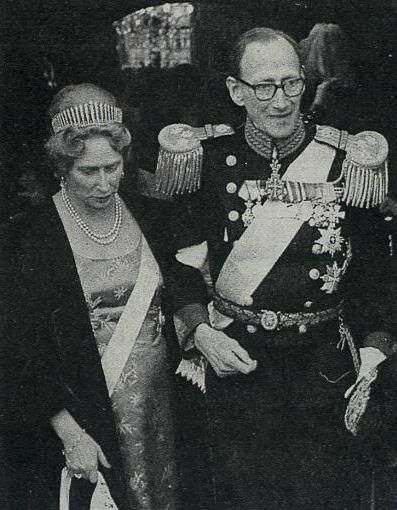 Knud would have become king and Caroline Mathilde queen in their turn, but a change in the constitution in 1953 caused Knud to lose his place in the succession to his niece, Margrethe II. After the change, Prince Knud was given the title of Hereditary Prince and Caroline Mathilde became Hereditary Princess. Hereditary Prince Knud died on 14 June 1976. 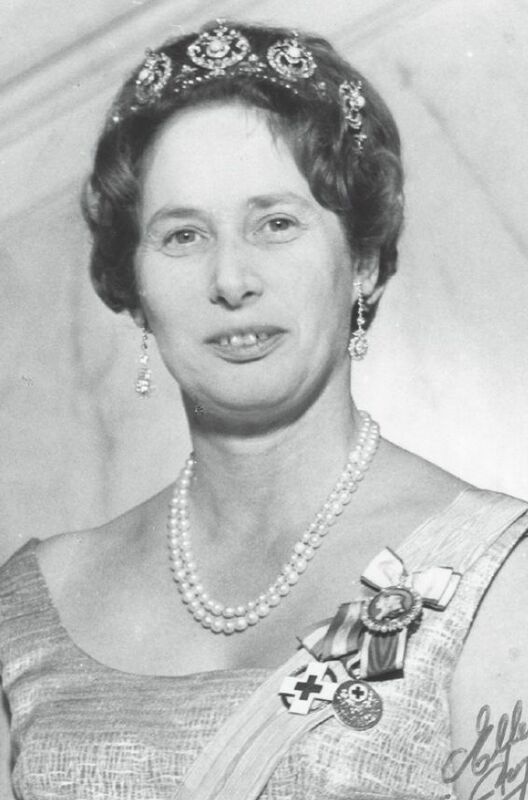 Hereditary Princess Caroline Mathilde survived her husband by 19 years and died on 12 December 1995 at Sorgenfri Palace. She was buried at Roskilde Cathedral next to her husband. The Princess Caroline-Mathilde Alps in Greenland were named in her honour by the 1938–39 Mørkefjord Expedition, as her husband, Prince Knud, had been the patron of the expedition. ^ a b c d e f Darryl Lundy (23 February 2007). "Caroline Mathilde zu Schleswig-Holstein-Sonderburg-Glücksburg, Princess of Denmark". ThePeerage.com. Retrieved 2008-09-21. ^ "Catalogue of place names in northern East Greenland". Geological Survey of Denmark. Retrieved 18 June 2016. The generations are numbered from the implementation of hereditary monarchy by Frederick III in 1660. This page was last edited on 9 March 2019, at 02:03 (UTC).